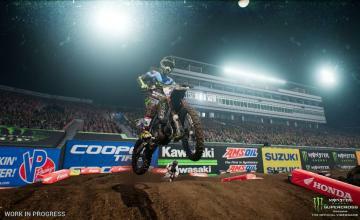 What’s the latest from Monster Energy Supercross 2? Any new footage? 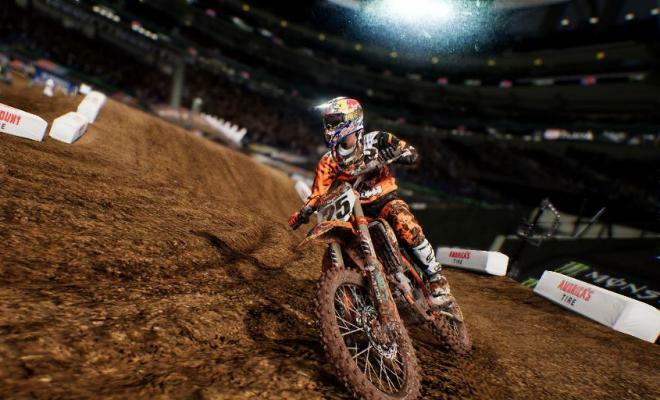 “Monster Energy Supercross – The Official Videogame 2 allows players to step into the boots of an official Supercross Champion and experience the exciting life of a professional athlete in the most competitive and highest profile off-road motorcycle racing championship in the world. The new release puts players at the center of the game with a renewed career mode, an enhanced track editor, additionaltraining compounds and an improved playability. This is super cool. I like the new concept. It seems very exciting.